A woman’s body contains less water than men (drugs/alcohol in the system are less diluted), more fatty tissue (higher retention) and lower levels of specific enzymes (slower break down of substances). “As a result, women can progress faster to addiction than men as their bodies are exposed to the substance longer and at higher concentration levels,” Dr. Cidambi adds. After Randy Thornton pled guilty to Class C felony possession of cocaine, he was ordered to begin his two-year probation on Aug. 6, 2007. The expected expiration date was set for Aug. 6, 2009. However, in February 2008, Thornton was sentenced an additional three years for an unrelated case under Cause 28198. Probation officer Eric Lee informed the sentencing court under the initial cause about the new sentence, noting that Thornton’s probation would resume under the initial cause once the executed portion was completed. Lee’s supervisor, Dianna Johnson, approved and signed the memo, but no action was taken on it by the sentencing court. Then in August 2010, additional probation officers Matthew Pietrzak and Stephanie Buttz filed and reviewed a notice of probation violation on Thornton, informing the sentencing court that he had been arrested and charged with a new offense earlier that month. They noted that Thornton’s probation was additionally paused while he served time for his conviction in Cause 28198. The sentencing court later found Thornton had violated his probation, despite his contention that the 2010 arrest did not violate the terms of his probation because it had ended in August 2009. He was then ordered to serve the remainder of his previously suspended sentence. On remand, the trial court granted the officers’ motion for summary judgment on the grounds that they did not deprive Thornton of his constitutional rights and that they were immune from liability under section 1983 as quasi-judicial officers. Thornton appealed in Randy L. Thornton v. Matthew Pietrzak, Stephanie Buttz, Eric Lee, and Dianna Johnson, 18A-PL-1356, specifically asserting they were not entitled to quasi-judicial immunity because they exceeded the scope of their authority as probation officers by failing to maintain accurate records and providing the sentencing court in Cause 81612 with knowingly false information. He also asserted that because the sentencing court vacated his probation violation, the officers were not acting in furtherance of a valid court order when they filed the probation violation in August 2010. “However, the sentencing court, in vacating the probation violation, did not find that Appellees acted in violation of the original sentencing order or that they exceeded their statutory authority in filing the notice of probation violation,” Judge James S. Kirsch wrote. “The sentencing court, instead, found that it was unclear whether Thornton’s probation was tolled when he served his sentence in Cause 28198 and that there was no caselaw on the issue. Because of this ambiguity, Appellees did not knowingly file a false probation violation and keep inaccurate records regarding the status of Thornton’s probation. “To the contrary, they followed their statutory duty to notify the court when a violation of a condition of probation occurred pursuant to the original sentencing order in Cause 81612 and their belief that Thornton was still on probation at the time he committed new offenses because his probation had been tolled when he served an executed sentence in an unrelated case,” Kirsch continued. The appellate court thus found that in filing the notice of probation violation, the officers were performing duties “considered an arm of the judicial officer who is immune” and therefore entitled to quasi-judicial immunity. Similar article: “Case Clips: Thornton v. Pietrzak, No. 18A-PL-1356, __ N.E.3d __ (Ind. Ct. App., March 19, 2019). In partnership with the Indiana Family and Social Services Administration/Division of Mental Health and Addiction, the Indiana Office of Court Services is accepting grant applications to provide financial assistance to counties using a Sequential Intercept Model (SIM) approach to enhance collaborative partnerships between the local criminal justice system and behavioral health care providers to address Opioid Use Disorders/Substance Use Disorders. The grant application is open to counties to support planning, implementation, or enhancement efforts to identify those involved in the criminal justice system with substance use and other mental health disorders. Grant activities must focus on one or more intercepts outlined in the Sequential Intercept Model, which brings together key stakeholders to develop a “map” that illustrates how people with substance use and mental health disorders come in contact with and progress through the local criminal justice system. Grant applicants are strongly encouraged to attend a Justice Partners Addictions Response Training (Registration link below). Applicants that do not attend this training must demonstrate an exemplary understanding of the SIM through prior training or other local collaborative initiatives. The lead applicant for each grant application must be a member of the local judiciary. Boone Superior Judge Matthew C. Kincaid ruled in Green’s favor in a judgment on the pleadings, and a panel of the COA affirmed Tuesday in Hendricks County, Indiana, et al. v. Gwyn L. Green, 18A-PL-2528. Felicia Patrick participated in Noble County’s Family Preservation Court and was able to keep her children after years of drug abuse. The Noble County woman was using drugs – “pretty much anything,” but mostly meth. It was 2009, she’d just had a daughter, and another baby, a boy, was on the way. The Indiana Department of Child Services took custody of her son before she could leave the hospital with him. Patrick is among thousands in Indiana who have transitioned from unhealthy and dangerous situations with the help of specialized courts designed to steer families from bad behavior and toward stability. She credits her faith and Noble Superior Court’s Family Preservation Court with providing her with therapy and the life skills necessary to stay sober and regain custody of her son. Court leaders in Allen County hope they will soon have similar success stories to share. Allen Superior Court launched its family-centered court – Family Recovery Court – on Feb. 14. Administrators say the program in which participants could spend more than a year is aimed at untangling a morass of problems parents face that can lead to breaking families apart. Patrick later divorced, remarried and had another son. She has been sober since 2012. “Once I realized that the people who were involved (with the court) were supportive and believed in me, it gave me confidence in myself,” she said. “I was so broken, so lost. I did not know how to lead a normal life. Family Recovery Court can help ensure families are kept intact through treatment, therapy, guidance, individual attention and encouragement, officials said. 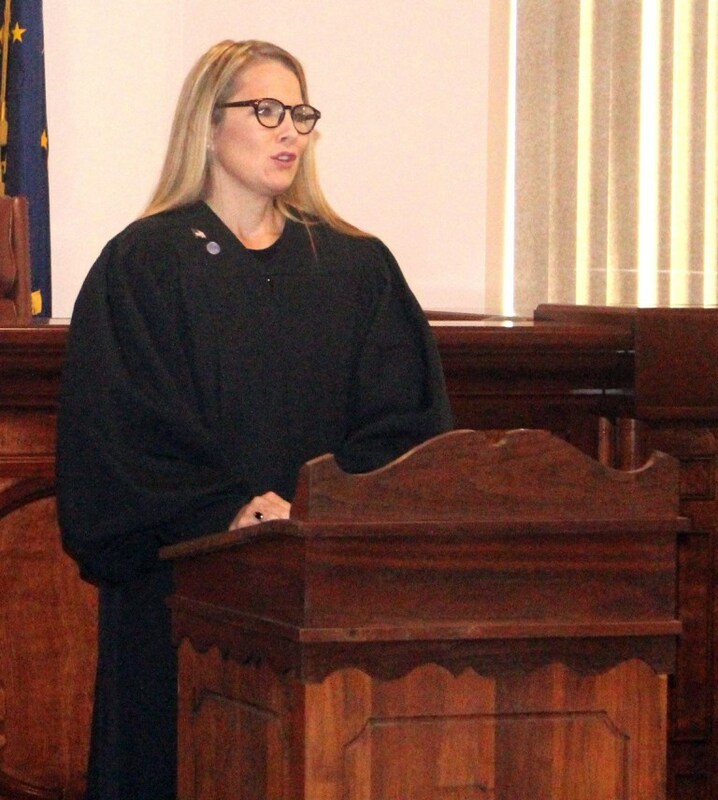 “Drug abuse and addiction have an enormous impact on so many aspects of our community,” Judge Charles Pratt said in a statement announcing the creation of the court. Pratt is administrative judge of Allen Superior Court’s Family Relations Division, where the new court is housed. Magistrate Sherry Hartzler, former chief legal counsel of the Allen County Department of Child Services office, said she began planning in 2017 for a family court. Hartzler said she was seeing an increase in cases involving parents or guardians with substance abuse problems. She wanted to help the people who showed up in her courtroom keep their families intact, but there was little she could do. Allen County had special courts, but no mechanism to help families fighting drugs or alcohol. Family Recovery Court is Allen County’s fifth problem-solving court, joining Drug Court, Mental Health Court, Re-entry Court and Veterans Court. It is the eighth established in Indiana, and officials in Delaware, Howard, Knox and Vigo counties are studying similar programs. Family recovery courts handle civil cases for individuals who have not been charged with a crime. Families are accepted into the local family court program after they have been found to have children in need of services – CHINS. The designation is used by the state for cases involving allegations of abuse or neglect. Nearly 750 CHINS cases were filed in Allen County last year, and 818 cases were filed in 2017. Administrators see themselves as part advocate, part helper and part cheerleader. Working with participants to kick addiction and keep families together can be a longer process than simply shuttling them through the court system, they say, but it’s beneficial in the long run. Parents remain with their children and it reduces long-term costs to courts because participants are less likely to come back to court with similar cases. The Justice Department report found that nearly 60 percent of problem-solving court participants did not quit and left programs successfully. Indiana Supreme Court Justice Christopher Goff established an adult drug court and a family adult court – one of the first in the state in 2006 – in Wabash County when he was a judge there. He and others who have overseen problem-solving courts say just getting parties involved together more frequently is effective in changing behaviors. More time away from the court can lead to more chances to engage in bad behavior such as relapse, experts say. “What we found is that it’s a good way to use the convening power of the court to get everyone together,” Goff said. “It’s very efficient in that way. A family court was put in place in Clark County in 2011, and program Director Iris Rubadue estimates participation has ranged from just a handful to more than 30 families. Nearly all of the cases involve drugs or alcohol, she said. The program there includes providing access to therapy and incentives for participants – gift cards and extended time with children who have been removed – to complete the program. About 75 percent of participants who enter the program stay, Rubadue said. He oversees the family court in Noble County, where Patrick began her journey to sobriety and stability. “It is more likely to work, rather than just cycling them through,” he said. The Allen County family court is based on one in Grant County, where Judge Dana Kenworthy said participants are offered assistance but also required to be accountable for their actions. “We planned for about three years before we started (in 2015),” she said. Kenworthy said the program has grown to include “an alumni group” of former participants that helps encourage current participants. 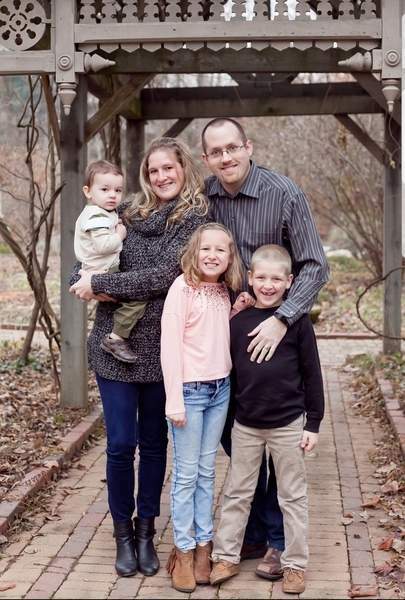 Hartzler, the Allen County magistrate, said she met several times with Kenworthy to ensure everything was in place to begin the local family court, which so far has about five participants. The program will be limited to 35 through its first six months. “Which is a drop in the bucket but to ensure the success in getting this started, it made sense to start small so we don’t fail by taking on too much all at once,” Hartzler said. She credits officials and agencies including mental health counselors and guardians ad litem – someone appointed by the court to look out for the best interests of children. Patrick, who got her children back for good in 2013, is now a board member for Noble House Ministries – where she lived when she was a Family Preservation Court participant. “They all worked very closely to keep me on track,” she said. On Saturday for the first time in its roughly two-year history, e-cigarette company Juul shared some limited data from a clinical trial with the press. (POPAI Website Administrator’s note: based on the Amazon summary and reviews I’m not all for #2 but the rest are worth checking out. To be a good officer, you need street smarts; to be a well-rounded officer, you need book smarts, too. With that said, here’s a list of 10 must-read books aimed at probation and parole officers. In here, you should find a wealth of information that will help you do your job not only more efficiently and effectively, but also more safely. An examination of the legal liabilities that probation/parole officers may be exposed to. Eleven chapters make up this monograph. “The Best Ever Book of Probation Officer Jokes” is so unoriginal, it’s original. And, if you don’t burst out laughing from at least one probation officer joke in this book, there’s something wrong with you. The POPAI Membership Year runs from January through December. If you haven’t had the opportunity to renew your membership you may do so in several ways. Chief Administrative Officer Justin Forkner has selected IOCS Justice Services Deputy Director Mary Kay Hudson to be the new Executive Director of the Indiana Office of Court Services.